There are “potential riches in the aircraft that land in aviation’s junkyards as airlines ditch older jets for models that burn less fuel”. Also, Boeing is the world’s largest plane maker and so they may be in the market for a salvage company that recycles engines, landing gear and other components from scrapped jetliners. Right now Boeing is in the maintenance, repairs and spare-parts business which has been profitable but they have been contracting out the dismantling of used planes that Boeing buys so this part of the business is what Boeing is considering adopting. There’s a $3.2 billion market for used parts and this figure is growing since airlines commonly discard planes way before their 30-year service lives. 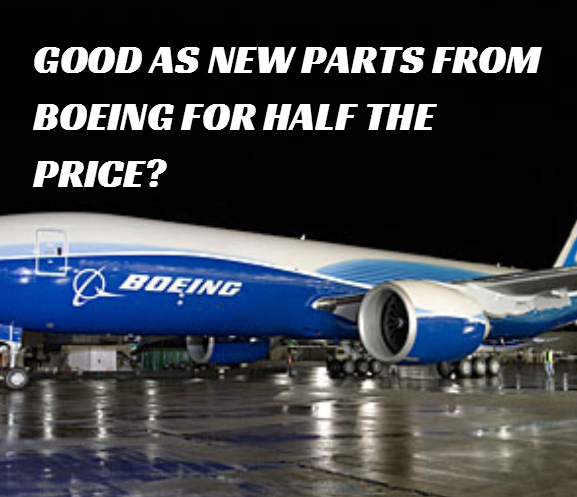 In terms of problem/opportunity there’s risk that if Boeing deals used parts at a price that’s as much as 50% cheaper, and is certified to be as good as new, their new aircraft parts sector will suffer the consequence. Considering that 6,000 jetliners are expected to be driven out of service over the next decade due to improvements in fuel savings engineering, refurbished jetliner parts might help Boeing keep older air craft afloat longer.